Next week we’ll be at the Embedded Vision Summit in Santa Clara, showing joint customer and partner demonstrations and giving a talk. The EV Summit is always a highlight for us, and we’re looking forward to the show. Altera and videantis have jointly developed a concept demonstration that combines an Altera Cyclone V FPGA with the videantis v-MP4280HDX vision processor. The combined solution runs a wide variety of computer vision functions like pedestrian detection, face detection, feature detection and optical flow. Developed together with VISCODA, we will be showing Structure from Motion, which allows the capture of 3D information using a standard 2D camera. Marco Jacobs will present an accompanying talk on this subject. Looking forward to see you there. Feel free to reach out to us to set up a meeting. There are already cars on the road that include 7 cameras. A common setup has multiple forward-looking cameras: long-range, shorter-range, and sometimes stereo cameras for controlling speed and steering. Additionally, there are typically another four cameras to present a surround-view overview to the driver. Mirror replacement and interior cameras for driver monitoring or gesture recognition increase the camera count further. The question now becomes how do you connect all these cameras, where does the computation take place, and what does the system architecture look like? Last week we published an article on automotive cameras together with the Embedded Vision Alliance. 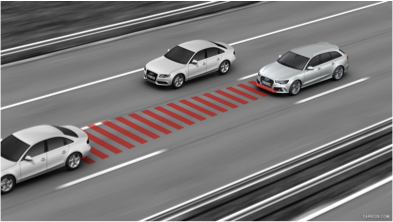 The advanced driver assistance systems (ADAS) market is one of the brightest stars in today’s technology sector, with adoption rapidly expanding beyond high-end vehicles into high-volume models. It’s also one of the fastest-growing application areas for automotive electronics. Market analysis firm Strategy Analytics, for example, now expects that by 2021, automotive OEMs will be spending in excess of $28B USD per year. At their annual Build conference, Microsoft presented the Hololens AR glasses. The immersive display includes a complex camera system. It seems each Hololens contains at least 6 different cameras. The cameras are probably used for capturing the surroundings, such that these can be mixed with computer-generated 3D graphics. In order to correctly align to and interact with the augmented world, there are likely depth cameras and additional gesture cameras. Bosch recently released a video that shows their vision for a highly automated car and its unique driving experience. 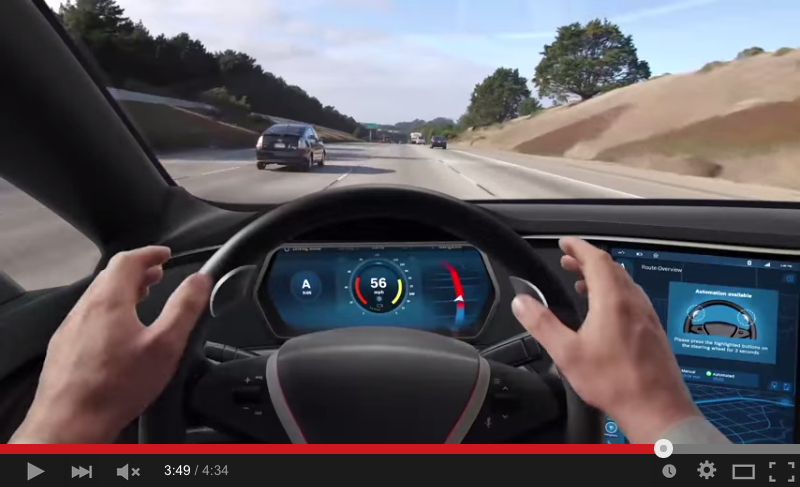 The concept vehicle shows how the interaction between an automated vehicle and its driver could work. Accompany Philip, a young professional, on his journey to the airport, and see how the user interface of his vehicle handles different phases of manual and automated driving – making Philip’s journey safe, relaxing, productive and entertaining. On March 24, HEVC Advance announced it is forming a new patent pool in addition to the one offered by MPEG LA. The new group includes Dolby, GE, Mitsubishi Electric, Philips, and Technicolor. GE’s backing, to whatever degree, gives HEVC Advance a lot of weight. This isn’t a group of dissatisfied patent owners corralled by an aggressive hustler; it’s a huge company attempting to get more for their IP than they thought they could through the MPEG LA patent pool. In this article, Streaming Media explores exactly what this new HEVC patent pool is all about and what the implications are.